What’s UPPPP friends! How are you!? Gosh, sorry I have been MIA from the blog world here at Powercakes – life sometimes takes over ya know ;] but that’s the beauty of blogging – it goes with flow! Any who – this past week I was visiting Corey for a “spring break”. 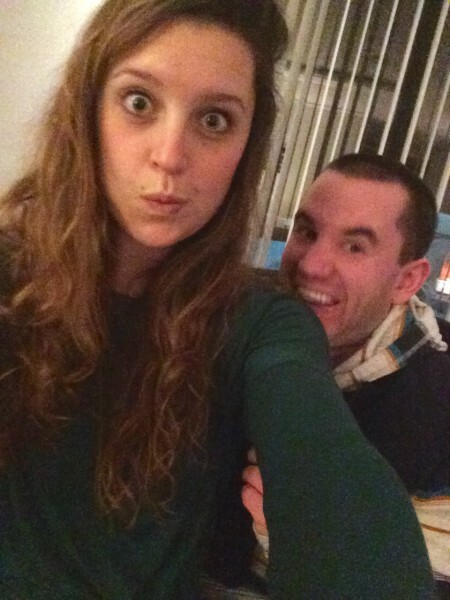 I use the quotes because while everyone was on break in warm climates – I was chillin’ in the snow…with this goofball. 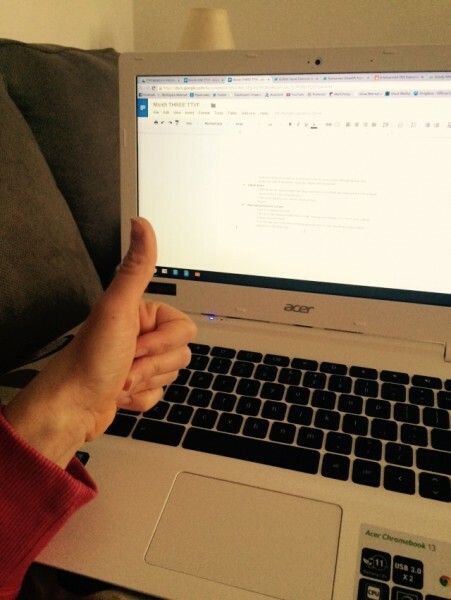 BUT let me tell you – the amount of work I was able to get done with my new online training launching soon!! 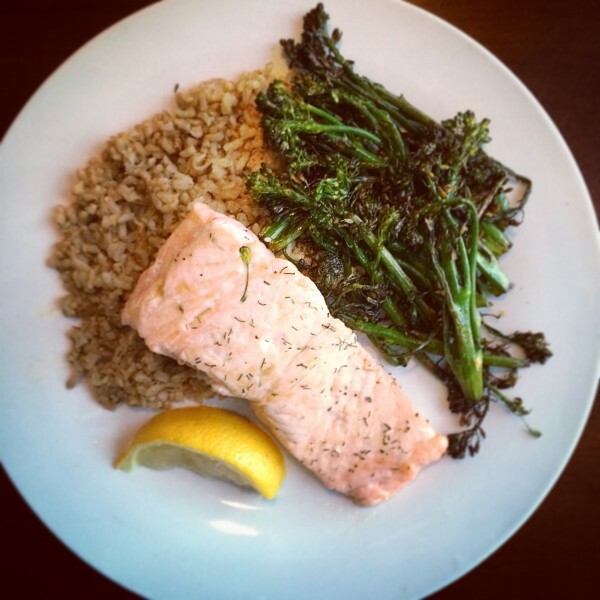 (click that link to sign up for my True To You Fitness newsletters and announcements!) and the amount of check marks off my TO DO list calls for a cheer because my goal was to complete my list & I was damnnnn close! 1) Working out with the boy again!! 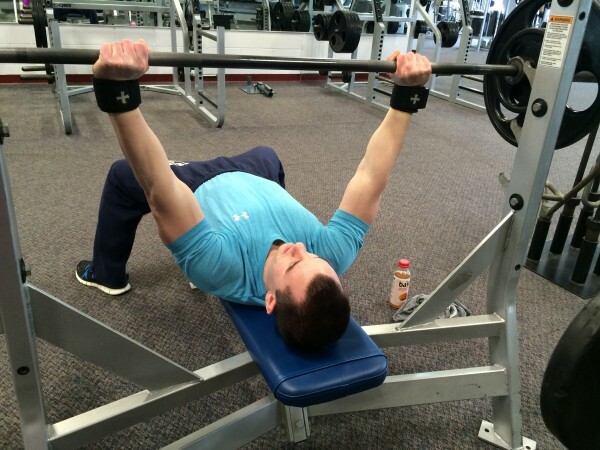 I can’t tell you how much I love having a training partner in the gym to spot some heavier lifts. We worked some bench into tour push day and CB rocked the Harbinger Wrist supports. (use code “powercakes20” for a discount! 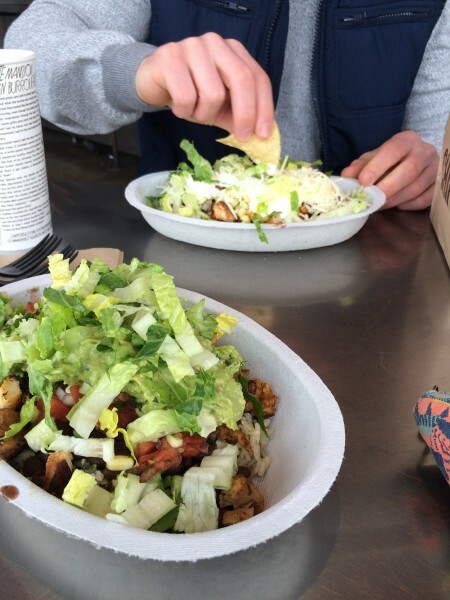 2) Post training Chipotle date….yes, please. He knows the way to my heart right there. 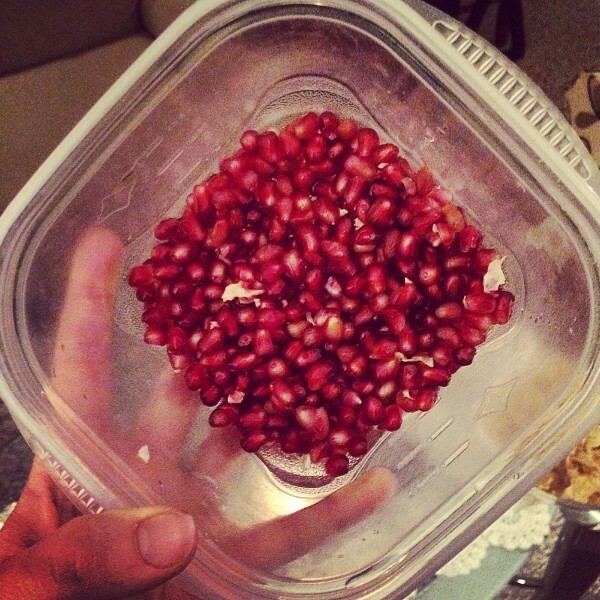 3) When your fiancé impresses you by showing off his ‪pomegranate‬ opening skillZ. He opens it into a bowl of water so that all the seeds float to the bottom. 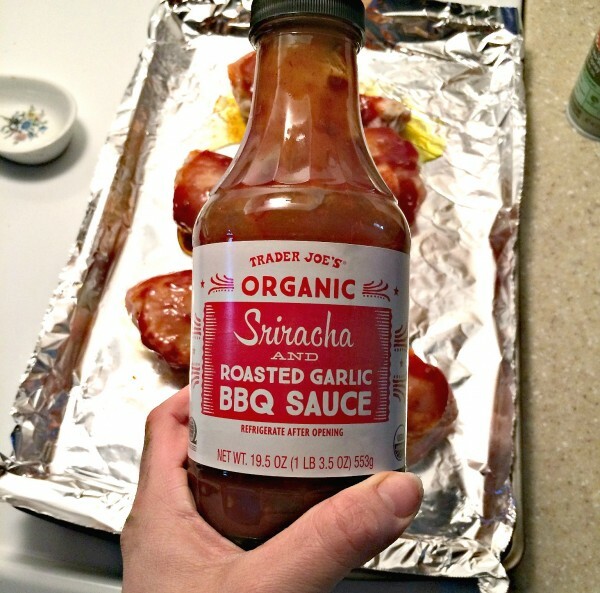 4) Trader Joes run on the weekend calls for some Iced Coffee & BBQ Siracha Chicken for the week! 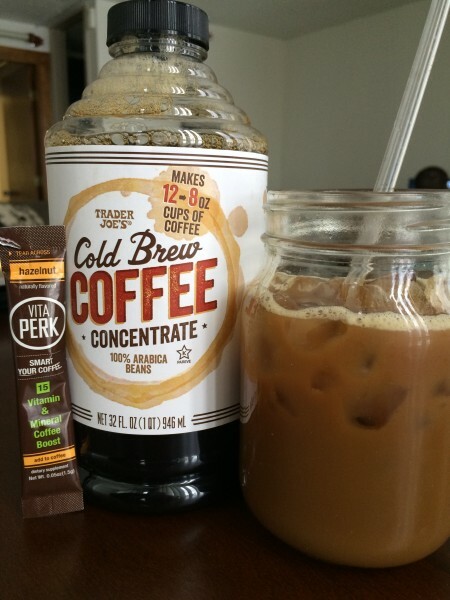 1 part coffee concentrate to 2 parts water + some organic half/half and a VitaPerk from the Week Of Wellness! We also scooped up some Organic Chicken & some BBQ sauce. It was SUPER simple to just grease the foil, add the chicken, & cover in sauce before baking for about 22 minutes and then flipping them and baking for another 22 minutes at about 375 degrees. 5) While we’re on the food kick…guys, there is a local fish market down the street from Corey that brings in fresh seafood caught that day. Music to my fish lovin’ ears. 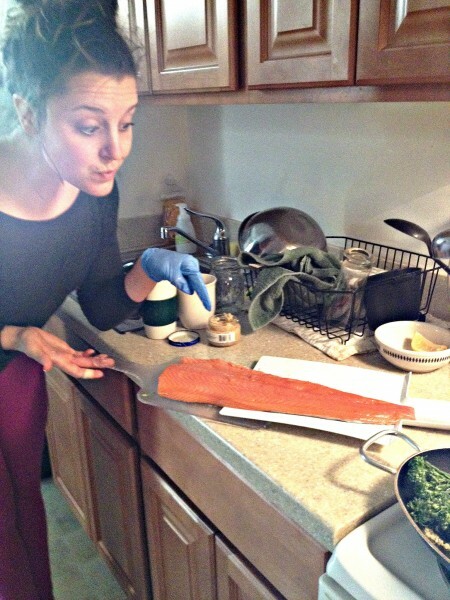 We got this HUGE piece of salmon (made about 6 portions) for $13! Yes, you read that right. Chef Kasey grilled it up on medium-low heat with dill & old bay, side of soy sauce rice (just add some soy sauce to your rice after cooking! ), and some broccoli in the pan with garlic & oil. 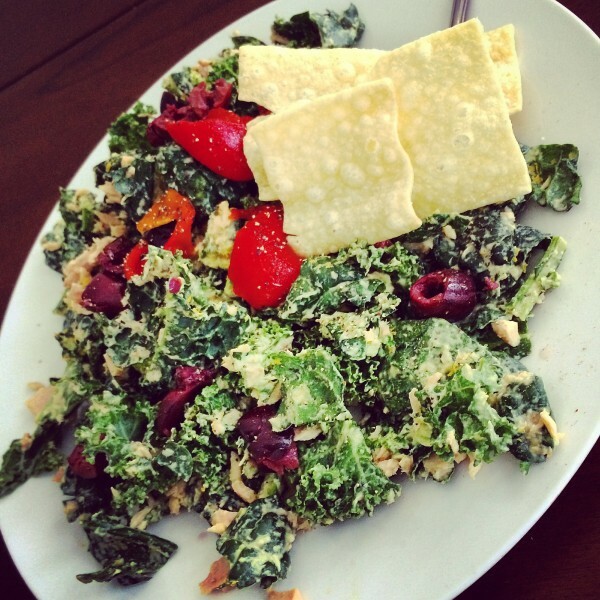 6) Another one of my go-to lunches was massaged KALE! I forgot how much I really enjoyed this. Massage your kale with some dijon mustard, hummus, & nooch (you can find on iherb.com coupon code XUG228 for $5 off! ), topped with olives and mixed in some tuna. 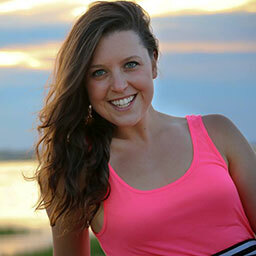 7) BODYPEACE interviews with Heather & our girls! More on this in a different post – but we were able to interview two lovely BODYpeace ladies who have read our book & took their own journey’s. You will NOT want to miss these interviews as they open up about their personal stories and so many people will be able to relate! 8) Sunday morning pancakes, always! 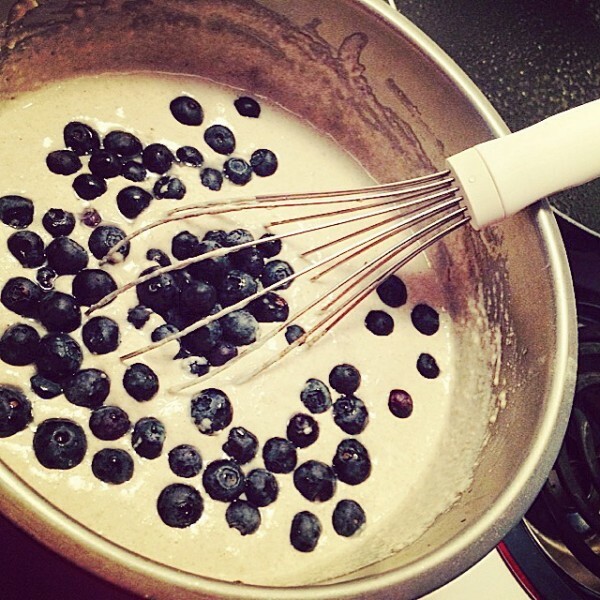 We kept it simple with a buckwheat mix & mixed in blueberries. Some almond butter & maple syrup is always a bonus! 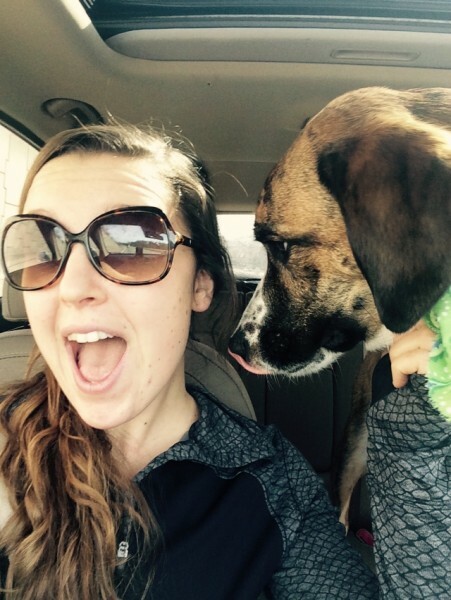 9) Puppy kisses for an airport pick up. When your sister-in-law picks you up at the airport with your niece, Finley = The best airport pickup ever. 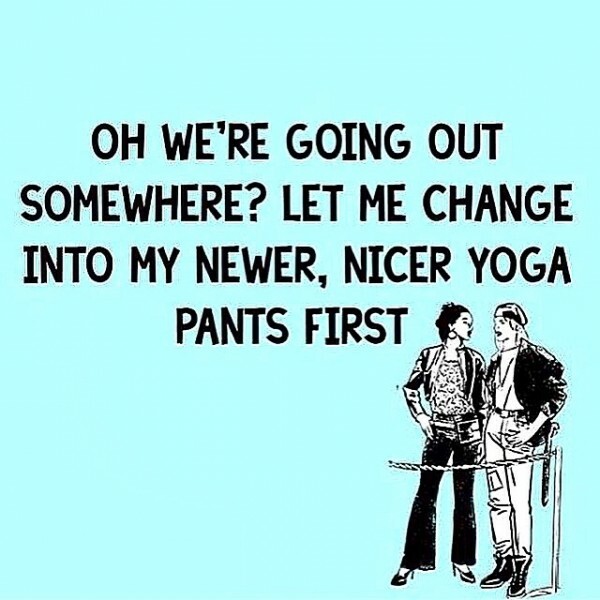 Not only was this me last week…but I’m honest here…it’s me every day. 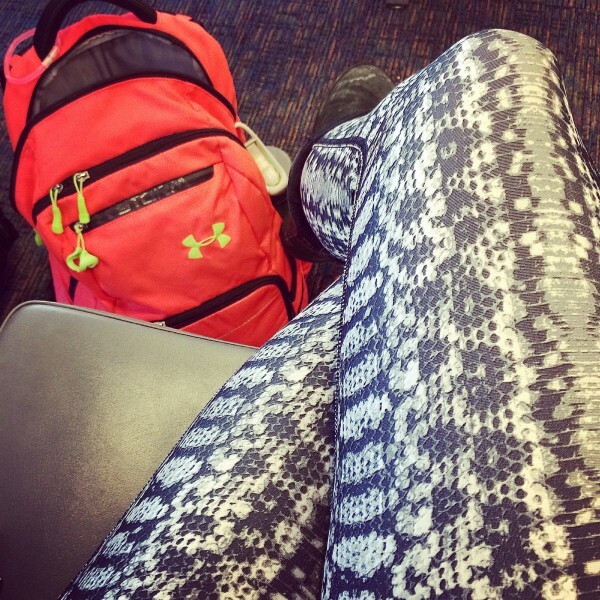 I remember packing my clothes and Corey seeing a pair of jeans (well, actually they were “jeggings”) and he said, “you actually have jeans?” For real. 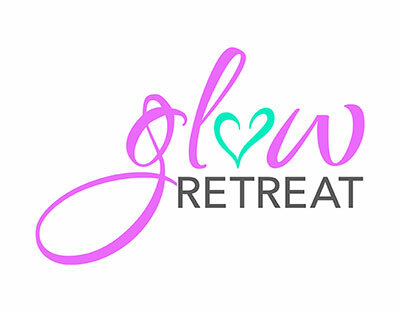 Hopefully you’re still with me here as I share about 1,000 favorites from the last week ;] and don’t you worry – there is more to come with PART TWO that includes a BIG announcement about this year’s GLOW RETREAT August 7-9th, 2015! 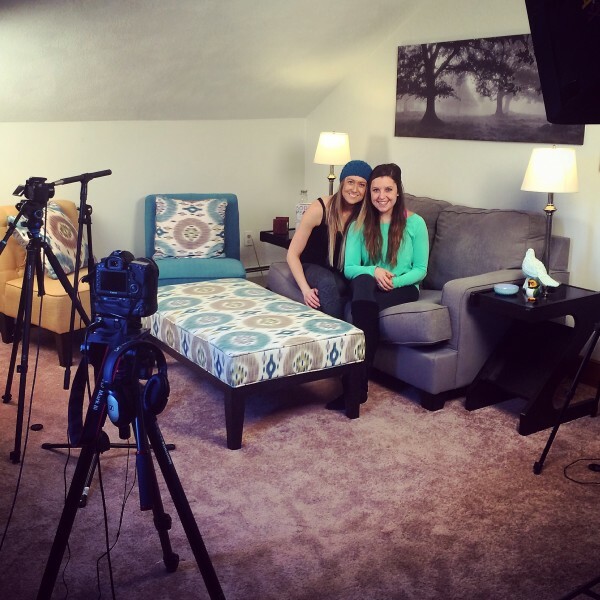 So much has been going on behind the scenes with our team to make this Retreat amazing and while I was out visiting Corey – Heather & I got to visit Cape Cod to check out our new venue! More on that tomorrow so have a great rest of your Wednesday! 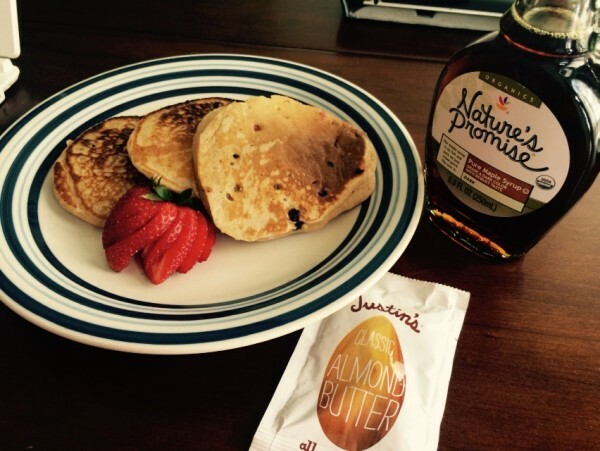 What’s your favorite pancake mix in? Hope you had a lovely weekend, and enjoyed the awesome food!